1. Entry open to NWHL teams only. 3. Any teams who then withdraw from the Competition will be disqualified from entering the following season & incur a fine. 4. There will be no seeding for this competition, the initial draw being made out of the hat, and determining all subsequent rounds. 5. Match dates to be determined by the LMC. Teams must be aware when entering the Competition that Cup games may have to take place on Sundays where there are insufficient Saturdays available. 6. All games to take place on the dates determined by the LMC. In the event of postponement, re-arranged games are to have precedence over friendlies and must take place on the next available Sunday. Details of any re-arranged games must be notified to the League Secretary within 3 days of the postponed fixture. League games will always take precedence over League Cup fixtures. 7. (a) The first named team for each match shall be the home team. (b) Where two teams meet having the same or similar colours, the second named team shall change. (c) In all rounds the 1st named team shall supply the match ball and send the result sheets to the League Secretary. 8. All matches apart from the finals to be played on a pitch provided by the home team. 9. All costs to be shared equally between both teams except for the finals. 10. 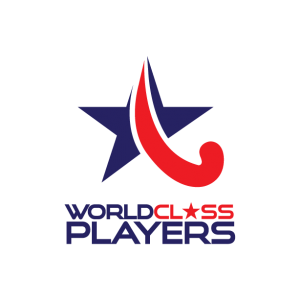 Normal NWHL rules relating to registered and starred players will apply to this competition. a) Where a Club has more than one team in this competition, those teams should reflect the “usual” team that appears under that name in the league. Further, having once played for a team in this competition, a player may not then play for a lower placed team. For example, a player having played in the preliminary rounds for their First team, cannot then be selected to play in later rounds for their Second team. (b)(i) Players cannot play in the Cup or Shield on the same weekend that they are registered. (b)(ii) Once a player has represented her club in this competition she then becomes cup/shield tied ie cannot play for another club in the competition. (c) No player who regularly appears on a Premier Division or Division One team sheet may play in the Shield Competition. (d) Any registered Midland, or other Region, Player who regularly plays Midland or Regional Hockey, is not eligible to play in a Cup or Shield game. 11. Any teams contravening any part of these rules will be disqualified from the Competition. 12. Results sheets, completed by both teams (as for League games) and clearly marked “Cup Game” to reach the League Secretary no later than 5 days following the game. 13. Teams who reach the semi finals must provide the league secretary by post a squad list consisting of a maximum of 18 players at least 7 days before the semi finals in order that their eligibility can be verified. This same list will be used for teams who reach the finals. The list should indicate the ages of any players less than 18 years of age. 14. The finals shall be played on a date and at a venue to be determined by the LMC. 15. For preliminary, quarter and semi finals, in the event of a draw at full-time, a penalty stroke competition, as set out by England Hockey regulations, will determine the winner. In the event of a draw at full time, two periods of 10 minutes extra time will be played, subject to “sudden death”. If still no result, then a penalty stroke competition, as set out by England Hockey regulations, will decide the winner. 16. Neutral umpires will be appointed by the league for the finals. Any dispute arising from this competition must be referred to the League Secretary in writing within 5 days of the game.